Extreme Temperature: If you’ve ever experienced a steep drop in temperature overnight, you may have noticed the “low pressure” light on your dash the morning after. For every 10 degrees Fahrenheit the temperature changes, your tires gain or lose 1 pound of pressure per square inch. When the temperature suddenly drops, your tires lose pressure. When the temperature escalates quickly, your tire pressure increases. Sometimes, in extreme heat, your tire pressure will expand beyond what your tires can handle, causing a failure in tire integrity. Leaking Valve Stem: The valve stem on your tire is the valve that opens to allow you to fill your tires with air. The valve stem automatically seals to keep the pressure in your tires, or at least it is supposed to. If your valve stem becomes dirty or damaged, it can cause your tires to lose air. Fortunately, this is an easy fix, and any mechanic or tire shop can replace or repair the valve stem quickly. Tire Bead Leak: Occasionally, the tire bead (the edge of the tire which rests on the rim) will leak. To determine whether your tire bead is losing air, spray your wheels and valve system with soapy water. If you see bubbles emerging, you have a tire bead leak. 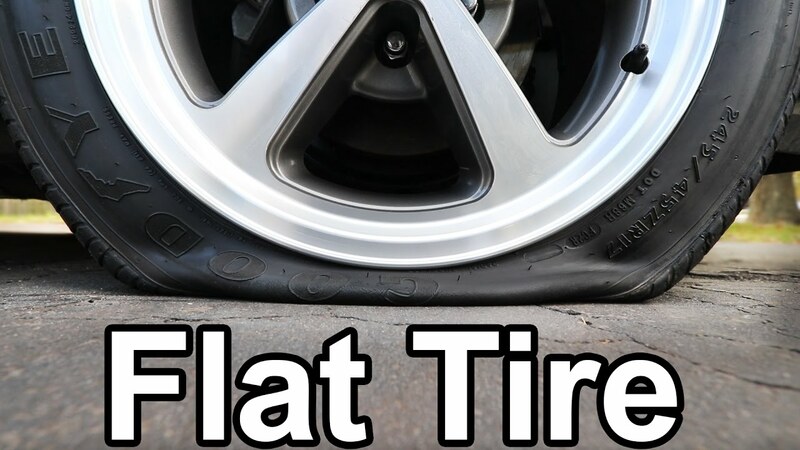 Road Hazards and Debris: Perhaps the most aggravating cause for a flat tire is hazardous road conditions or debris. Whether it be a piece of scrap metal or a pothole, sometimes these hazards are impossible to see or avoid. Fortunately, you can usually fix the damage with a patch. You can’t always avoid a flat tire situation, but you can take some steps to prevent flats, such as keeping your tires well maintained and regularly checking them for pressure and unusual wear and tear. When being prepared doesn’t prevent a flat, you can always be ready by having a spare available!